What's the Difference Cruelty Free and Vegan? It took me a while to fully understand the difference between cruelty-free vs vegan, I was using them interchangeably as I thought they meant the same thing. I’m hoping this post will clarify the main differences between the two terms and help you to make conscientious choices that are right for you. YES, this means that the product was not tested on animals AND it does not contain any animal ingredients and by-products. Brands that are cruelty-free AND vegan include OCC (Obsessive Compulsive Cosmetics), Pacifica, Emani, and Beauty Without Cruelty. Can something be cruelty-free but NOT vegan? YES, this means that the product was not tested on animals BUT it does contain animal ingredients. An example of products that are cruelty-free but NOT vegan are products from Burt’s Bees*. They have a no strict animal testing policy and is certified cruelty-free by both Leaping Bunny and PETA’s Beauty Without Bunnies Program however most of their products contain animal-derived ingredients like milk, lanolin, honey, royal jelly, and carmine. Can something be vegan but NOT cruelty-free? YES – in some cases. Some products do not contain any animal ingredients (like beeswax or carmine), making them essentially “vegan-friendly” however the ingredients or finished product may have been tested on animals. An example is conventional toothpastes which now uses plant-derived glycerin instead of animal (fat) sources and therefore are essentially vegan however the product or ingredients may have been tested on animals. “Accidentally Vegan” products also fall under vegan but not cruelty-free. NO – in other cases. So in the case that you classify the term ‘vegan’ with the second instance, then it’s important that you do a bit of research to find out what a company means when they call their products ‘vegan’. If you’re thinking, ain’t nobody got time for dat!, then you’ll be happy to hear that there are three logos you can find on product packaging to ensure the product was not tested on animals and does not contain animal ingredients/by-products. For further reading on what each of these logos and other “cruelty-free” and “vegan” logos and claims mean, check out this post here that explains it all! Feeling overwhelmed? Don’t be! There’s no need to become a stress case over all the various labels and what they mean. 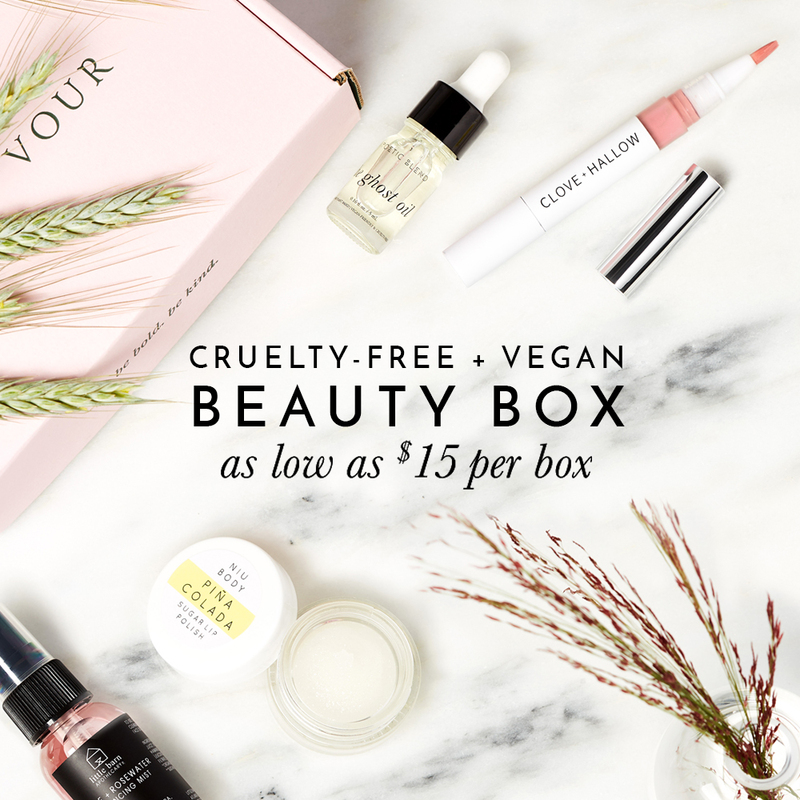 Do not feel pressured to switch all of your products to both cruelty-free and vegan overnight, but instead familiarize yourself with what these labels truly mean and find a happy medium that fits your own beliefs and values. We’re always evolving and learning new things, so when you feel it’s time to do better—then do better! Carmine ís an animal, it are squished lice. I want to use vegan and cruelty free products but I might not be able to do that because of a money issue as I am still in High school and live with my mom. My family is low income and for hygiene products my mom buys whatever is on sale. What should I do? Elf, Love Beauty And Planet, Wet N Wild and Palmer’s are some good and cheap cruelty-free options you can suggest to your mom. CVS brand products are cruelty-free, too. Hang in there! Hi Vicky my concern leans more on toxicity – there are vegan products that rate poorly by the Environmental Working Group because of toxic ingredients. Would you post on that topic please?